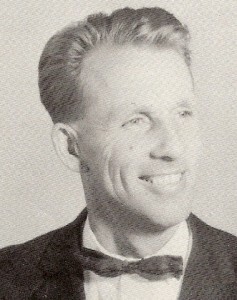 Leonard Houchins, came to Union High School in 1957 as the Varsity Football Coach. He was associated with athletics either as a player or a coach all of his life. His record as a coach speaks for itself and his contribution to the athletic program of Union High School was outstanding. 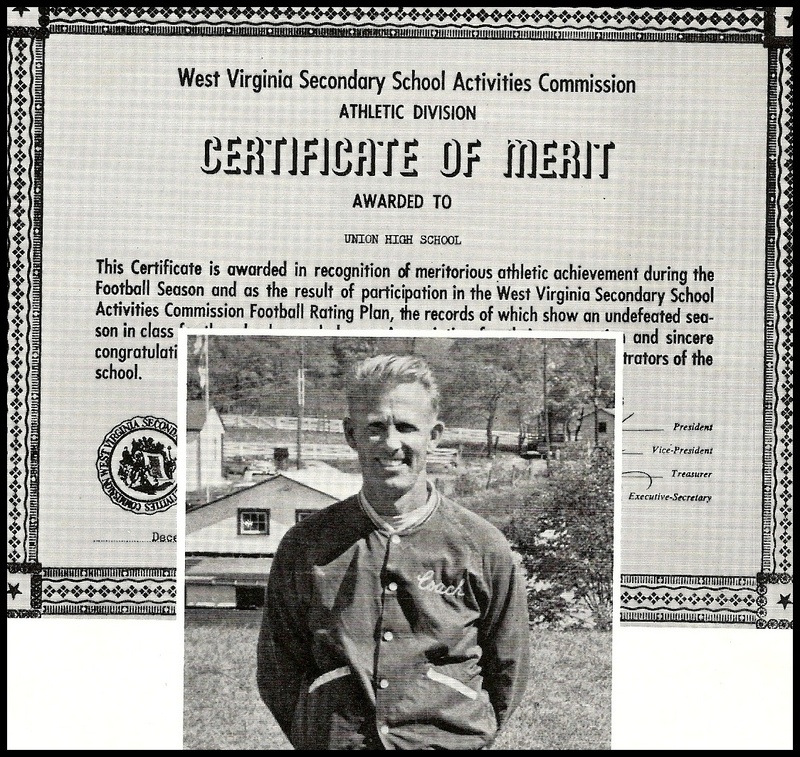 His successes were the result of hard work, attention to details, understanding of boys and dedication to the cause of athletics. His emphasis on sportsmanship, making good grades, assuming responsibility, perfection, and the desire to win will long be remembered by all of the young men coached by him. 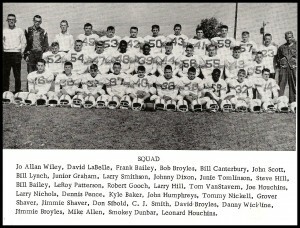 In 1964, Union High School finished the football season with an undefeated Varsity Football Team. 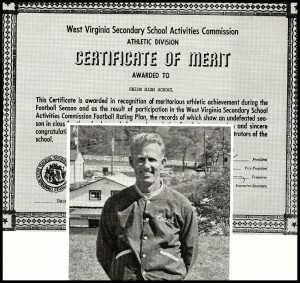 1964 was the first Varsity Football team ever, in the history of the school to be undefeated. 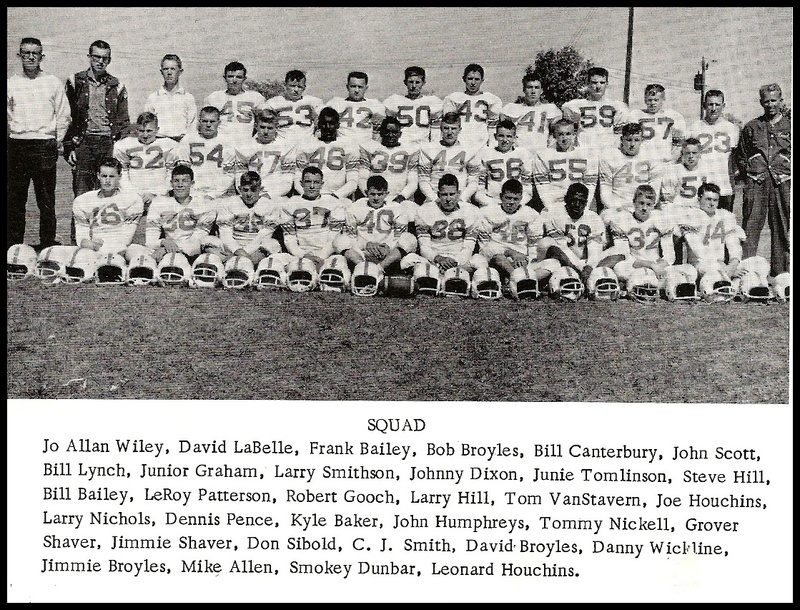 The 1964 Varsity Football Team’s major players were Steve Hill-left guard, Dennis Pence-wingback, Leroy Patterson-left end, Junie Tomlinson-quarterback, Joe Houchins-quarterback, Bill Bailey-right end, Robert Gooch-wingback, Tom VanStavern-center, Larry Hill-right guard and was selected to the “All State Football Team”, and Larry Nichols-right tackle and selected to the “All State Center” and “All Southern WV tackle”. (click on pictures for larger view).